A prominent and individual five bedroom traditional detached family home located in the highly regarded city suburb of Aylestone. The property retains a wealth of high quality features and character. 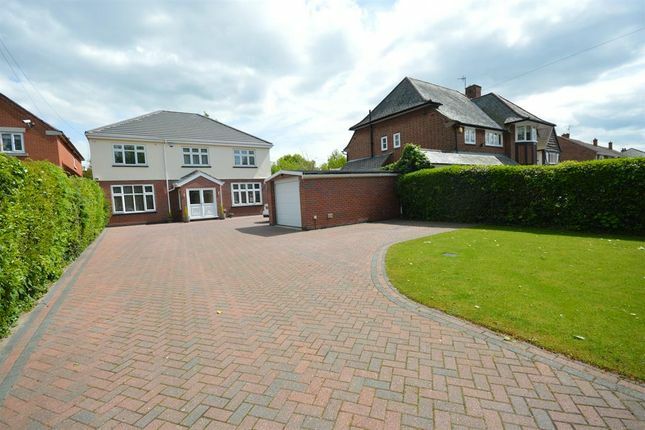 This superb family home offers you spacious and versatile living accommodation. The property includes an impressive and spacious reception hallway with porcelain flooring, two formal reception rooms, fitted kitchen, informal open plan dining and living areas, downstairs cloak room, study and boiler room. 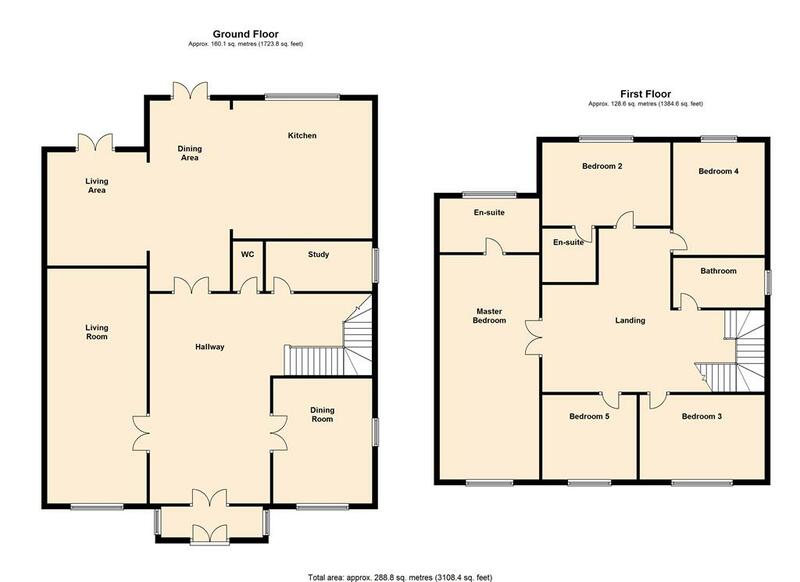 The attractive open first floor landing provides access to master bedroom with stylish en-suite shower room, bedroom two with adjoining en-suite shower room, three further bedrooms and family bathroom. Fitted with double speakers in every room throughout using a cat 5 system enabling wifi connection and many other benefits. The property enjoys a gated driveway, offering remote access, with ample off road parking, detached garage, and a deep and well established rear garden with out building offering power and light. Gas central heating, UPVC double glazing, CCTV throughout, remote controlled gated access, intercom system, impressive reception hallway, WC, two formal reception rooms, fitted kitchen, informal dining and living areas, study, boiler room, attractive first floor landing, master bedroom with en-suite shower room, bedroom two with en-suite shower room, three further bedrooms, family bathroom, frontage with driveway, detached garage, deep leafy rear garden. Two UPVC double glazed windows to the side aspects, UPVC double glazed double doors to the front aspect and internal doors leading to the entrance hall. Mega flow system Worcester boiler. Plumbing for washing machine and space for dryer. UPVC double glazed window to the rear aspect, range of wall and base units, space for range cooker, extractor, sink, integrated dishwasher, integrated washing/dryer, hot/cold tap for boiled and filtered water, island breakfast bar and porcelain flooring. UPVC double glazed window to the front aspect, double doors, built in wardrobes and radiator. To the front of the property there is a driveway leading to a bigger than average single garage, with power, light and electric doors. Property descriptions and related information displayed on this page, with the exclusion of Running Costs data, are marketing materials provided by Hunters - Narborough, and do not constitute property particulars. Please contact Hunters - Narborough for full details and further information. The Running Costs data displayed on this page are provided by PrimeLocation to give an indication of potential running costs based on various data sources. PrimeLocation does not warrant or accept any responsibility for the accuracy or completeness of the property descriptions, related information or Running Costs data provided here.